What a wonderful home starter home. A large fenced yard, big enough for a garden, complemented with tress and shrubs on a corner lot. 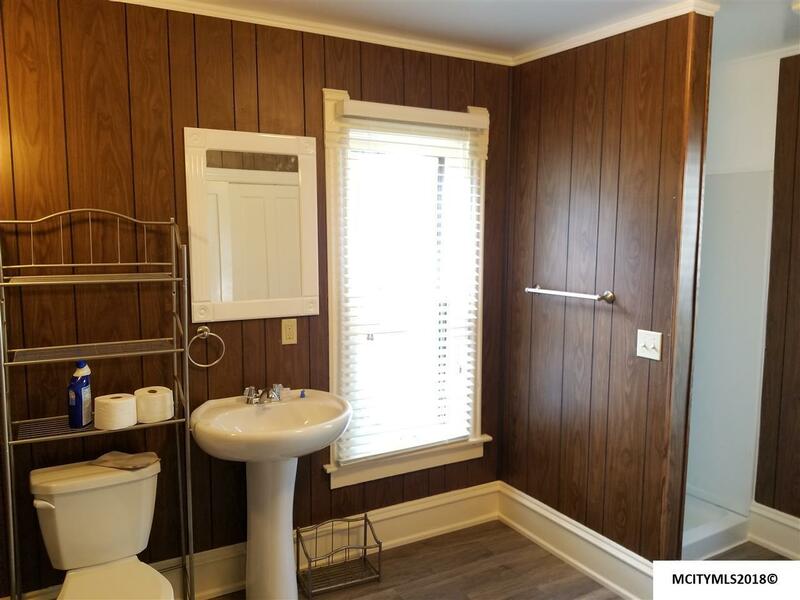 The home features hard wood floors, a new bathroom/utility room conveniently located on the main floor with a new washer/dryer. The kitchen features new a new stove and refrigerator and has new laminate flooring. The living and dining room have beautiful refinished hardwood. The upstairs features two large bedrooms along with two large walk in closets. The exterior has steel siding with open porches on both ends of house. Not many homes of this quality that are in this price range. Oh, there is more, the furnace and AC are near new high efficiency units. Call an agent today and take a look at this move-in ready home.